UNB’s Gregg Centre for the Study of War and Society is pleased to announce the third annual UNB Remembers ceremony, to be held on Friday, November 6, 2015 in Memorial Hall from 12:30 - 1:30pm This year’s ceremony will feature biographies of Charles Lawson (‘03), Royden Morehouse Smith (‘12), and Ernest Moore (’37), to continue the commemoration of the 70th anniversary of the liberation of the Netherlands. This year's UNB Remembers ceremony will also feature reflections from Wilfred Langmaid, UNB’s student advocate, a performance by the UNB flute choir, and commentary on how UNB’s history is shaped by the two world wars and the necessity of critical approaches to thinking and teaching about war. The Act of Remembrance will be read and a moment’s silence held. The inspiration for organizing a Remembrance Day ceremony at UNB came from an afternoon seminar on the Teachers’ Tour for the Study of War and the Canadian Experience. After participating in the two week tour, teachers and students at UNB realized that we knew nothing of UNB’s role in the war: of neither her students, nor alumni, nor her role as an institution. 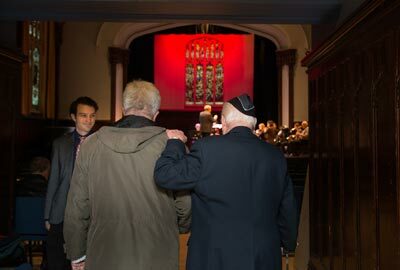 The UNB Remembers ceremony was created to share UNB’s wartime stories in a respectful way, while being truthful about the consequences of war. We invite all members of the UNB and Fredericton communities to join us for UNB Remembers 2015. UNB’s Gregg Centre for the Study of War & Society is a national centre of excellence for the study of war and society. Its goal is to increase understanding of the cause, course, and consequence of armed conflict. For more information contact Katherine Ireland, Gregg Centre History Education Fellow, katherine.ireland@unb.ca.